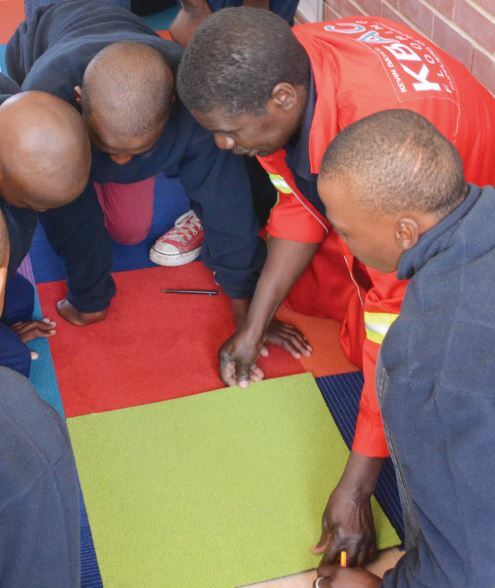 As Belgotex Floors and many other floorcovering manufacturers and suppliers in the country can confirm, there is a desperate need for new and skilled artisans in South Africa. It is for this reason that they are pleased to be associated with the official facilitator for the accredited training and registration of flooring installers nationally, namely the Flooring Industry Training Association (FITA). The Construction Education and Training Authority (CETA) has selected the flooring industry as a pilot project in the construction industry to help create a career path for young people entering the trade. The government has generously provided funding for the project as this aligns with their plan to upskill and create employment opportunities in the country. FITA, which is a four-year-old organisation, has partnered with CETA to produce updated training material on all floorcovering installations. This requires a collaborative approach from flooring industry experts. FITA would like to register as many individual fitters as possible, so they have decided to offer free registration to individuals until Feb 2018. Registering with FITA also enables existing fitters to apply for Recognition of Prior Learning (RPL) and then receive a designation based on formalised criteria. These fitters will also have access to training courses to upskill and grow their careers. FITA is also offering free Recognition of Prior Learning (RPL) assessments for a limited time to staff and subcontractors of companies registered with the organisation. FITA will be hosting RPL assessment days in major centres from January 2018 to accredit installers. Interested installers can preregister by emailing register@fitasa.co.za.